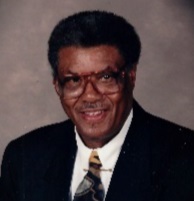 Mr. Samuel (Sammy Joe) Muldrow, age 87, of Roxboro, North Carolina passed away on Saturday, August 11, 2018 at Person Memorial Hospital Extended Care. He was preceded in death by his parents Johnnie and Janie Thomas Muldrow, his son Ricky Muldrow, two sisters Maggie M. Williams and Alice M. Ratliff; four brothers, Lacoia Muldrow, Scofield Muldrow, John Zack Muldrow, and Thomas Muldrow. 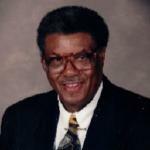 Mr. Samuel Muldrow is survived by his loving wife Gertrude Cameron Muldrow of the home; one daughter, Vicki JoAnne Muldrow Pettiford (husband, Lawrence W. Pettiford) of Oklahoma City, Oklahoma; three grandchildren -- Joy Richelle Pettiford, Joseph Lawrence Pettiford of Oklahoma City, Oklahoma, and Ricky Samuel Muldrow of Durham, North Carolina; seven great-grandchildren -- Ian Isaac Lawrence Pettiford and Ava Noelle Pettiford of Oklahoma City; Joseph Layman of Ohio; Juliana Pettiford of Ohio; Jayden Lee Pettiford, Breyden Michael Job Pettiford and Camryn Brielle Pettiford of Oklahoma City; two brothers -- Foster Muldrow of Florence, South Carolina and Charles Muldrow of Effingham, South Carolina; and two sisters Bessie M. Myers and Elizabeth M. Hines of Brooklyn, New York.